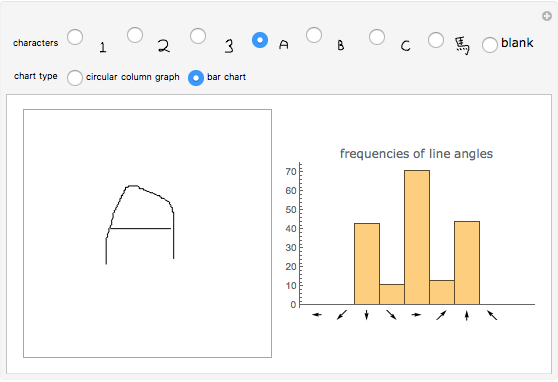 The circular histogram on the right shows the frequency of angles of the line segments making up the character in the drawing area. 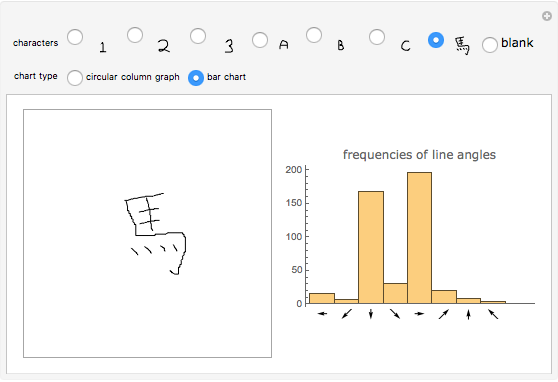 Click and drag in the drawing area to the left of the histogram to add your own lines to the character. 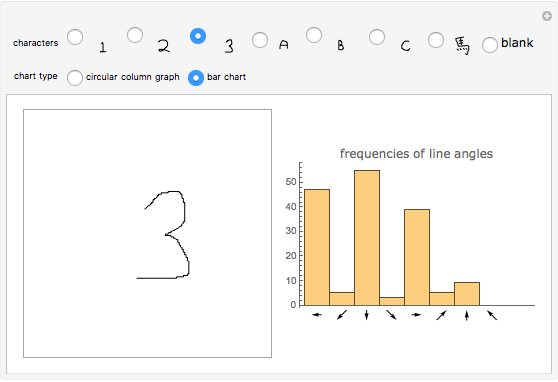 Click on the radio buttons above the drawing area to change characters or toggle between circular and rectangular histograms. Henry Kwong "Line Angle Histogram"